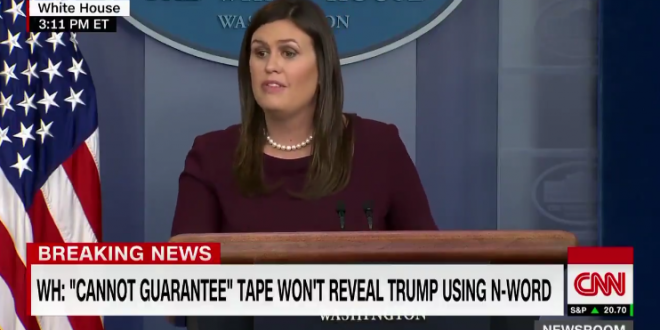 WH "Can't Guarantee" There's No Trump N-Word Tape - Joe.My.God. White House spokeswoman Sarah Huckabee Sanders says she cannot guarantee that President Donald Trump has never used a racial slur. Sanders said, “I haven’t been in every single room,” when asked if she can say with certainty that Trump has never used the N-word.